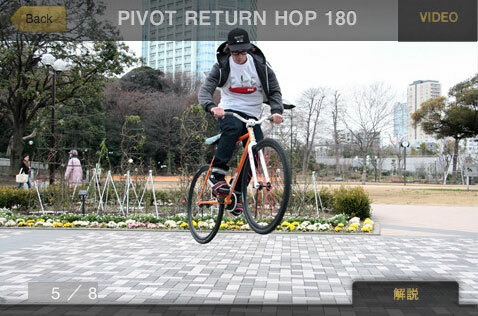 Ollie Magazine have released an iPhone application for all you fixed gear riders in Tokyo, or those planning on a visit. 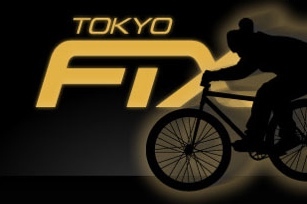 The application Tokyo Fix, available for 230 yen or $1.99 via the app store, will help you locate fixie friendly shops all over Tokyo, or just those near your current location. It also includes links to photos and videos relevant to the Tokyo Fixie crowd along with video tutorials so you'll master even the most complex of tricks in no time (or break your iPhone while trying). If you're up for a hit of fast, muddy mountain biking fun while on the train then Xtreme Sports: Biker will give you access to 25 levels of forest, mountain, urban and park action. 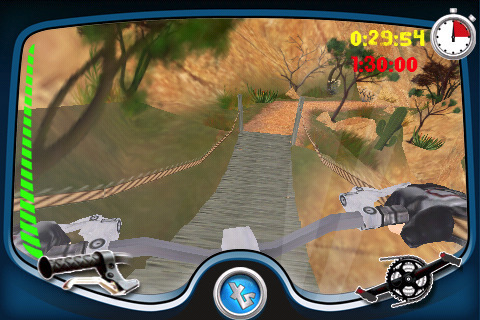 Although why the action has to be viewed via a scuba diving mask I'll never know.